+ Lil Yachty, Betty Who, and more! If you’re music-obsessed like us, then you've probably been scrolling through your feed all week, stalking the footage from SXSW Festival. Taking place in Austin, Texas, this 10-day-long extravaganza is home to countless live music showcases all day, every day. With hundreds of acts hitting the decks throughout the week, it can be tough to keep up with all of the action. However, you’re in luck, because we’ve got the highlights from yesterday, March 15, at Austin’s raddest music fest. Check out the clips below, and don’t forget to Track all of the artists on Bandsintown, so you never miss another show! Solange slayed the YouTube @ Coppertank showcase. 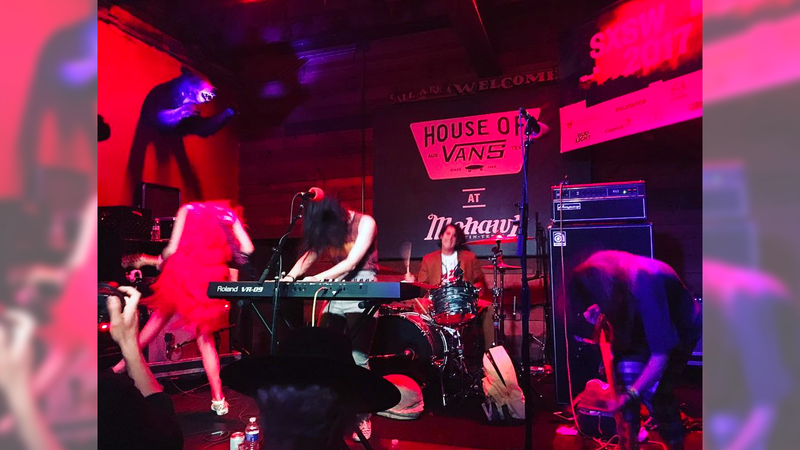 Things got rowdy at the House of Vans with The Paranoyds. Liv Bruce of PWR BTTM dazzled the crowd with “I Wanna Boi” at NPR Music's showcase at Stubb's BBQ. Drew Taggart and Alex Pall of The Chainsmokers got things fired-up at the Apple Music Party. The Radio Day Stage Presented by KCRW was blessed with sounds of Real Estate. Young M.A amped up the crowd at the Monster Energy Outbreak House. Fans at the House of Vans showcase were treated to special guests At The Drive-In. Betty Who delivered her flawless cover of “I Love You Always Forever” at the Stubhub showcase at Banger’s. SPIN showcase attendees were impressed with the sweet sounds of Hippo Campus. Lil Yachty jumped right into the crowd at Fader Fort. The Pandora showcase at The Gatsby got a little nostalgic with Jimmy Eat World. Banks headlined the packed COLLiDE at Bar 96 Presented by TWIX event.